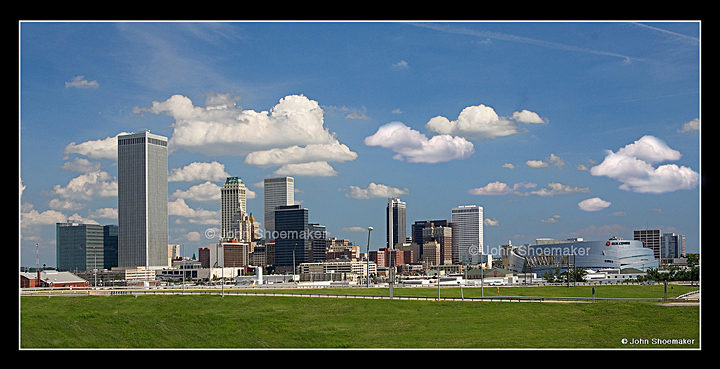 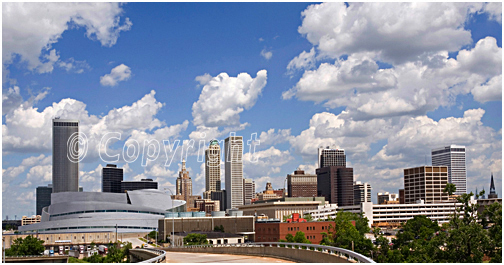 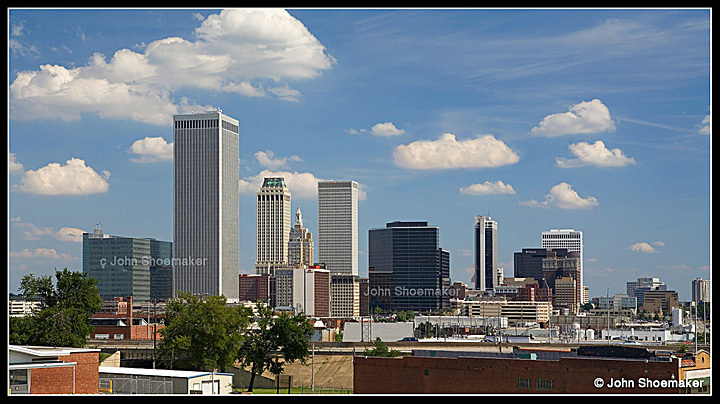 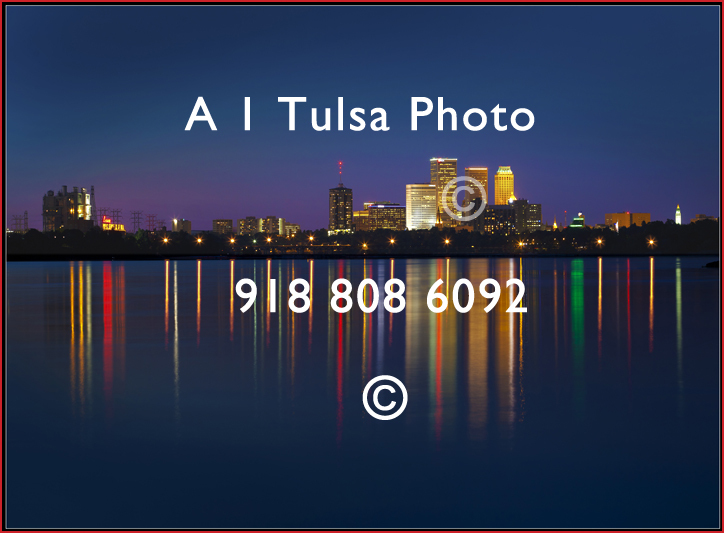 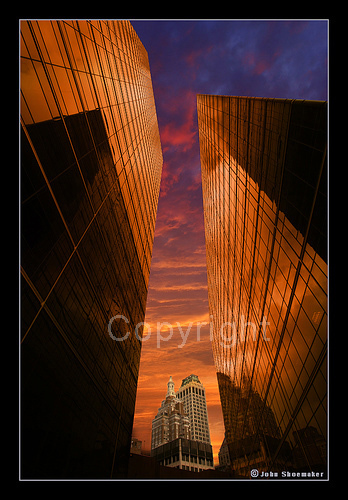 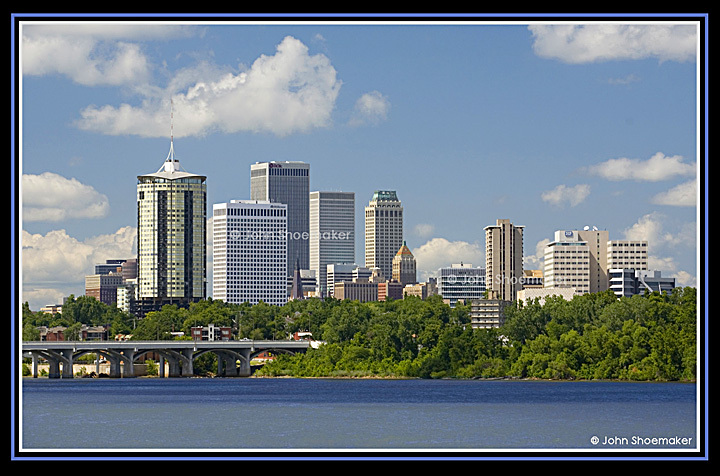 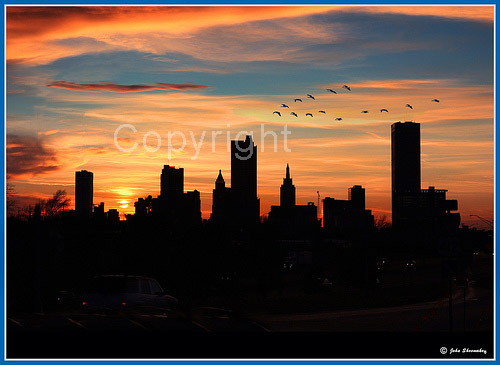 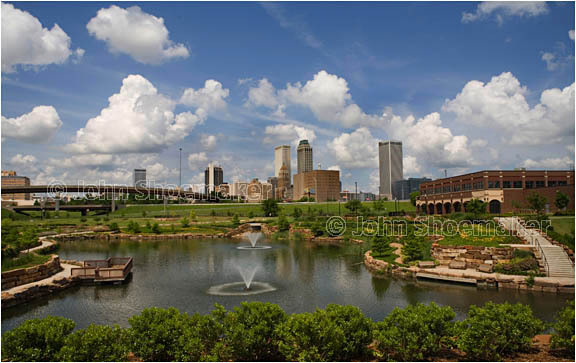 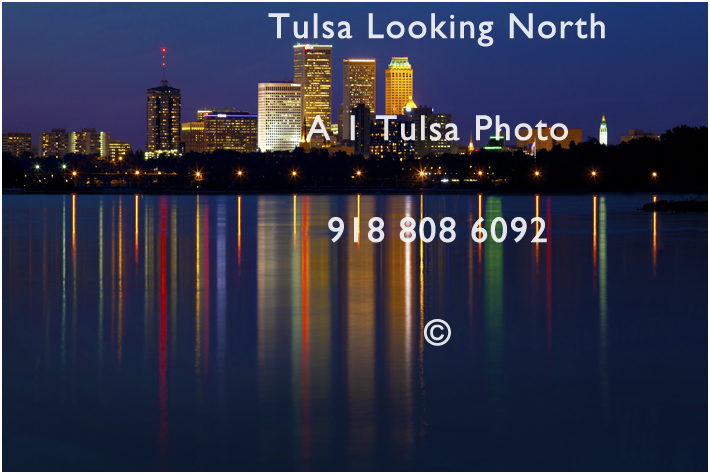 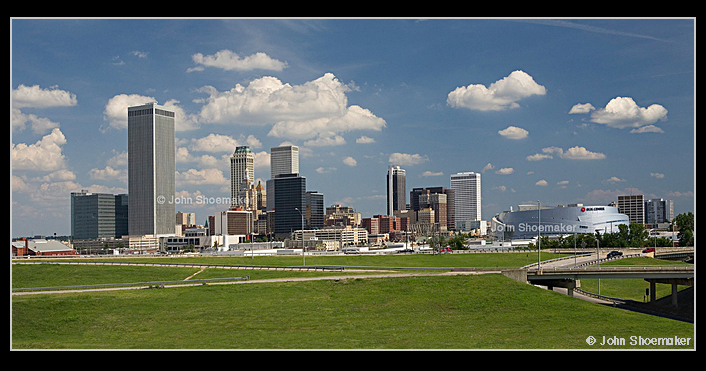 Tulsa skyline picture Tulsa Stock photographs pictures photography and images, Tulsa cityscapes for sale. 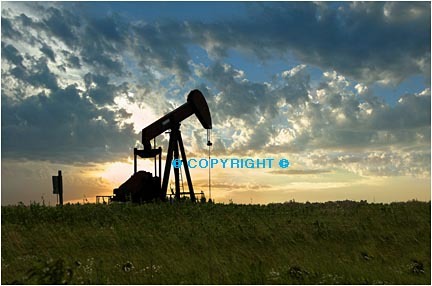 DO NOT STEAL IMAGES FROM MY WEB SITE OR ANY OTHER IF I FIND ONE I WILL PROSICUTE. 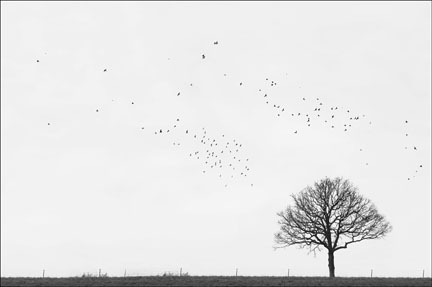 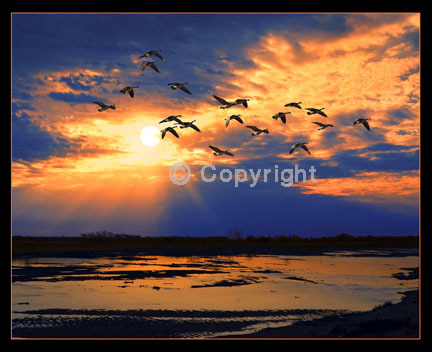 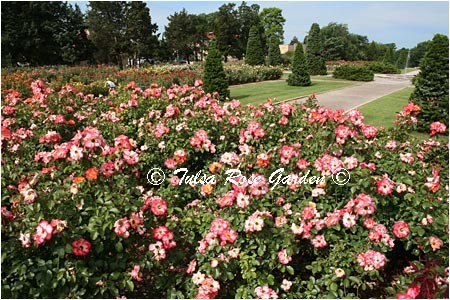 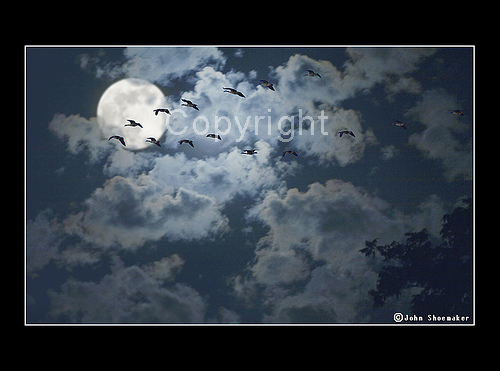 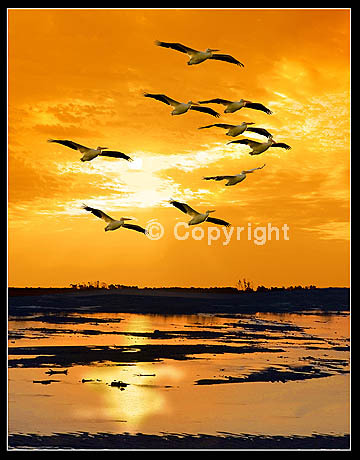 MY IMAGES AE EMBEDED WITH MY NAME, COPYRIGHT AND WHEN IT WAS TAKEN. 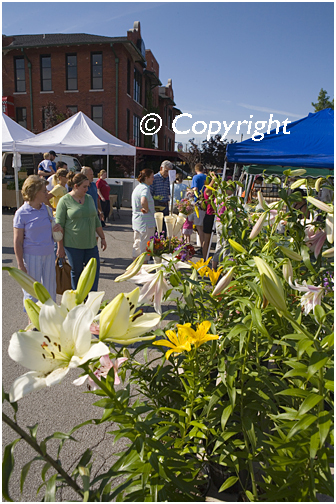 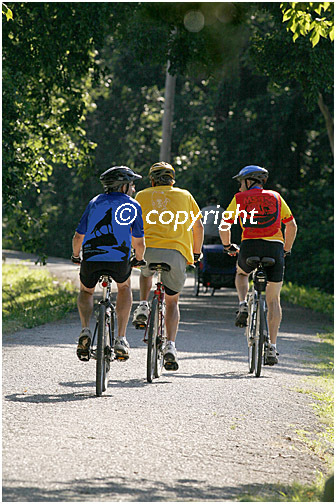 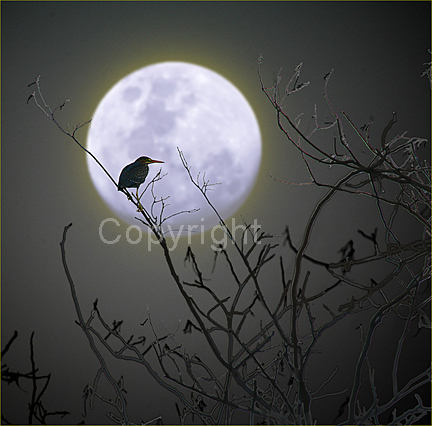 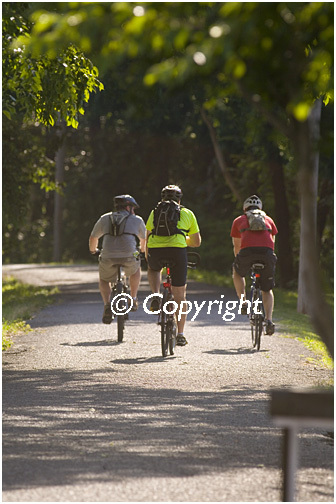 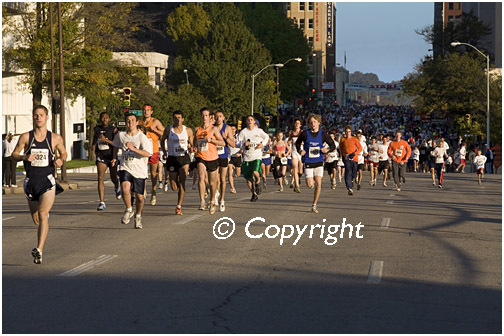 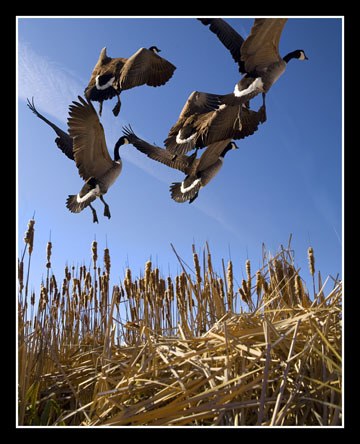 I SPEND A LOT OF TIME TO GET GOOD STOCK IMAGES. 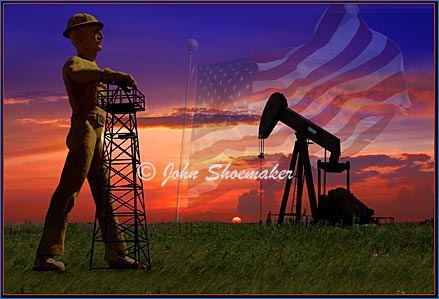 PEOPLE FORGET THIS IS HOW I MAKE A LIVING AND IF YOU TAKE ONE IT IS STEALING. 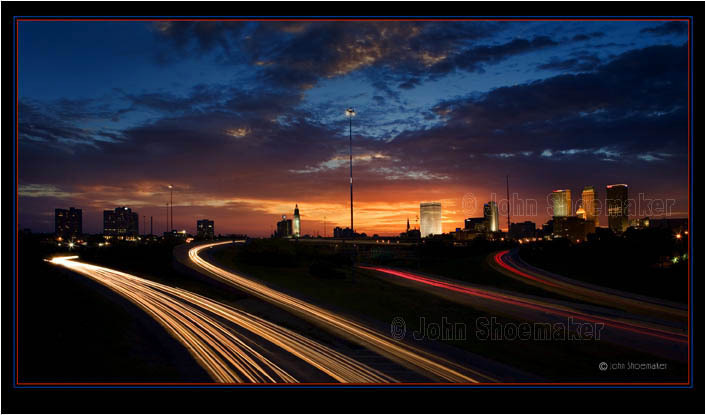 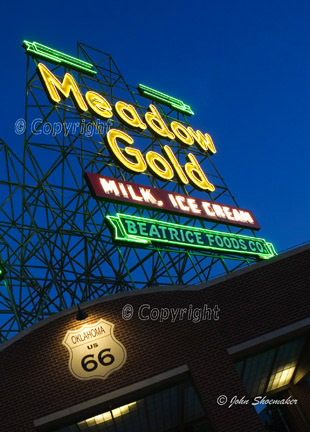 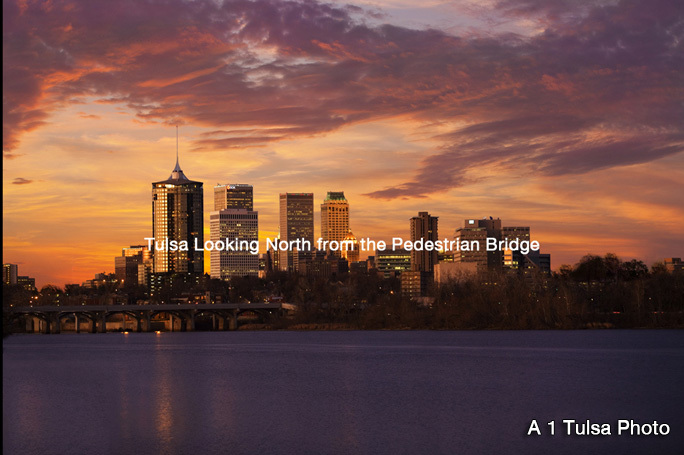 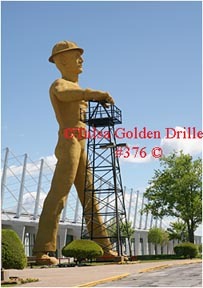 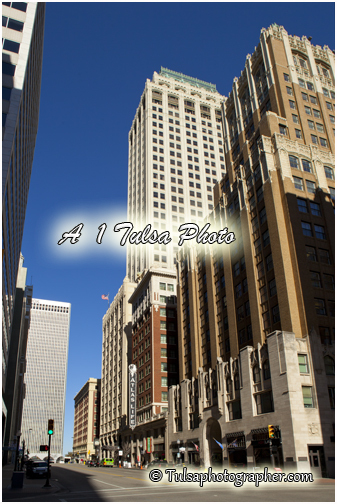 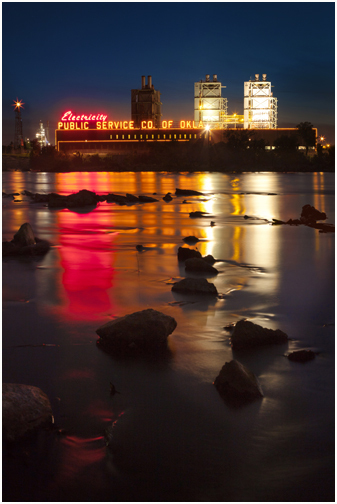 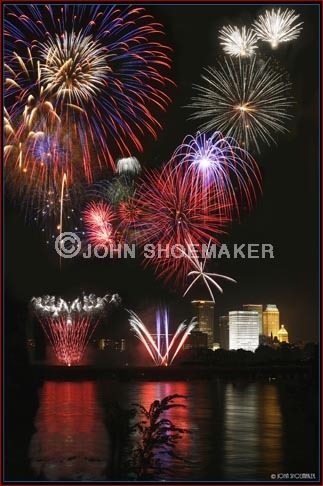 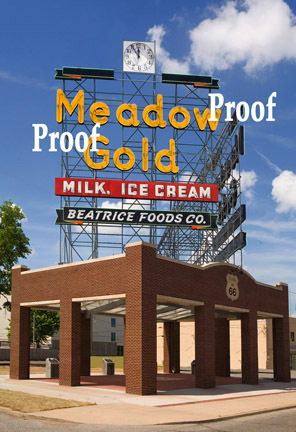 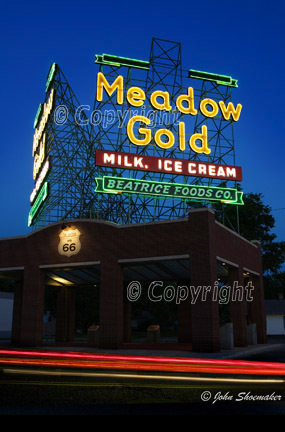 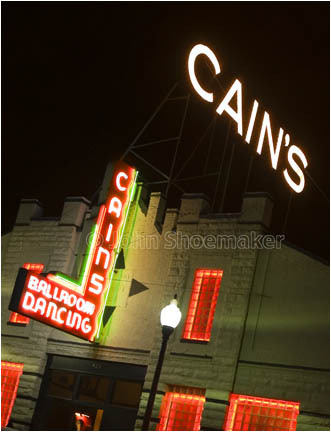 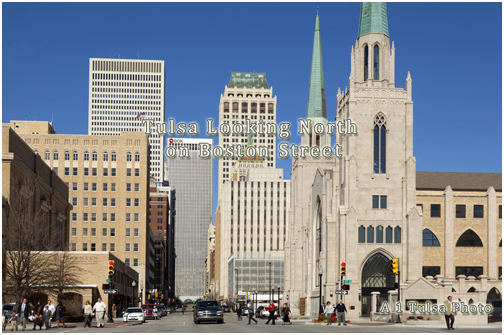 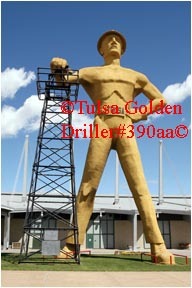 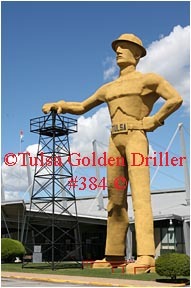 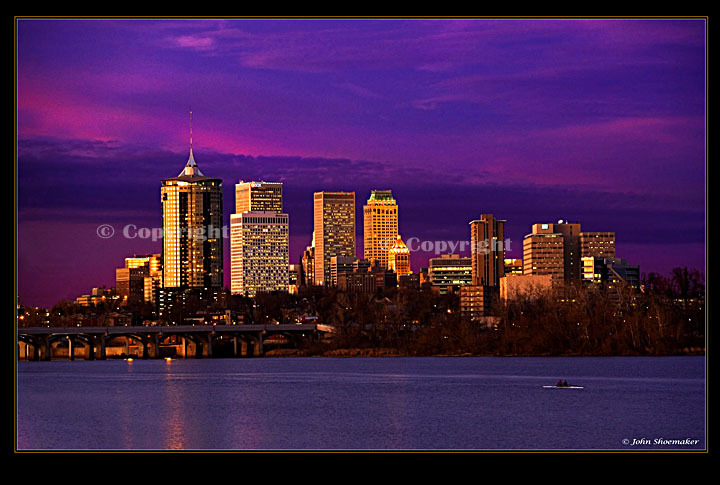 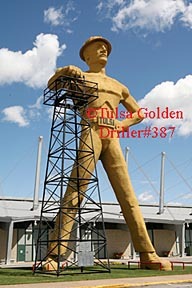 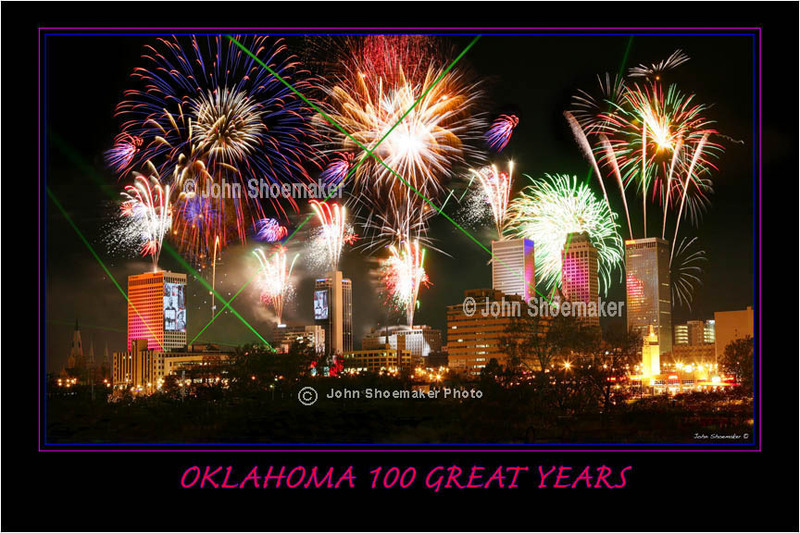 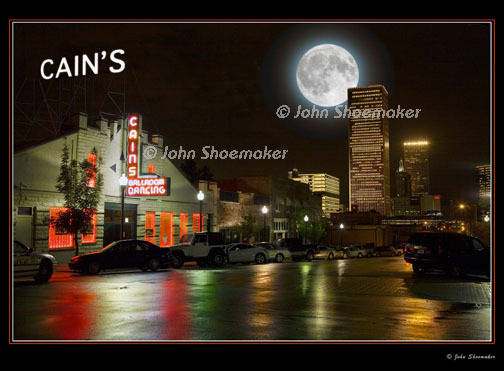 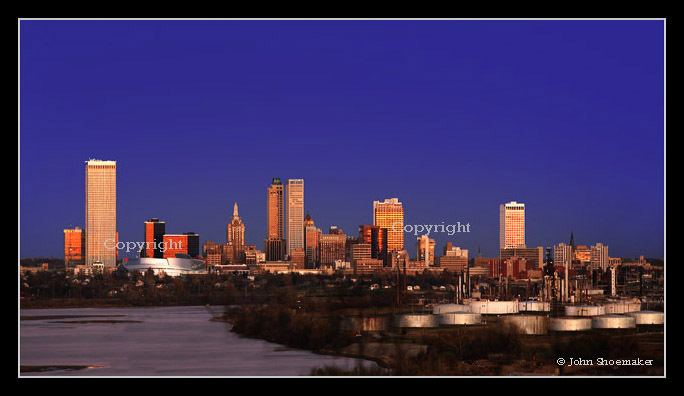 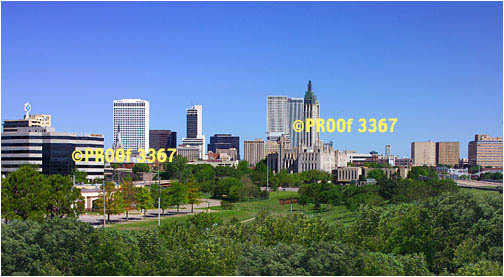 Please note the Tulsa skyline images have had a lot of retouching signs, poles highlines, trash and more. 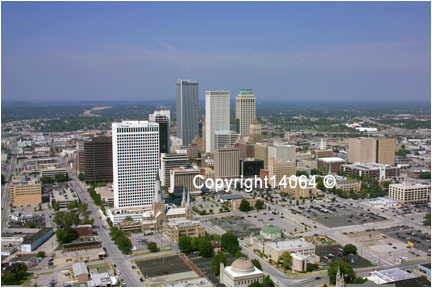 There is more skyline pictures in the Aerial section. 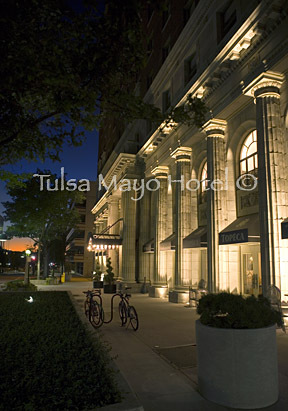 Listed on the National Register of Historic Places Once regarded as the preeminent Tulsa luxury hotel when she opened in 1925, The Mayo Hotel and still is. 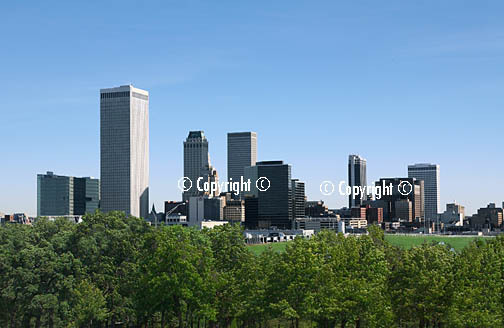 Tulsa picture aerial skyline new For sale. 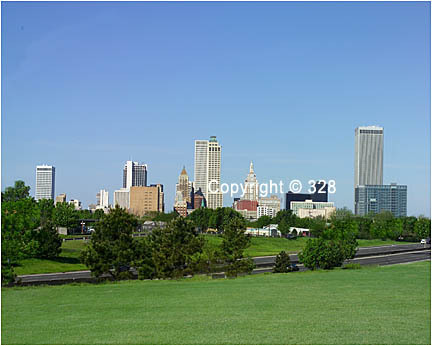 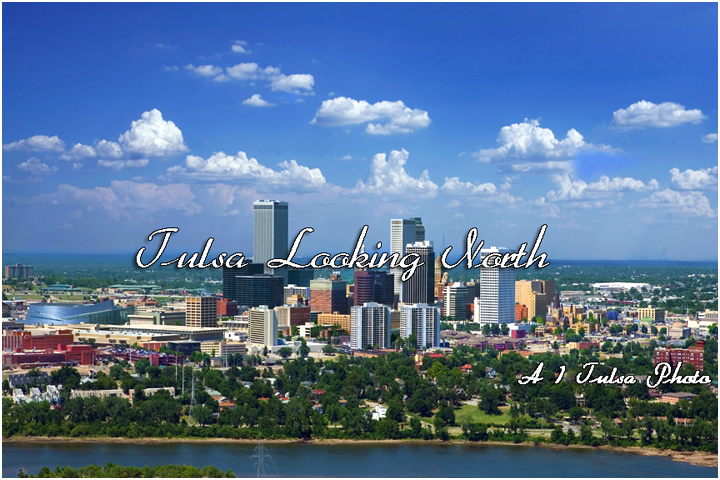 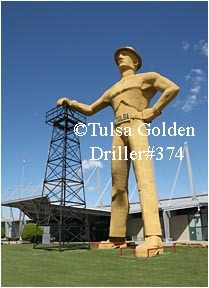 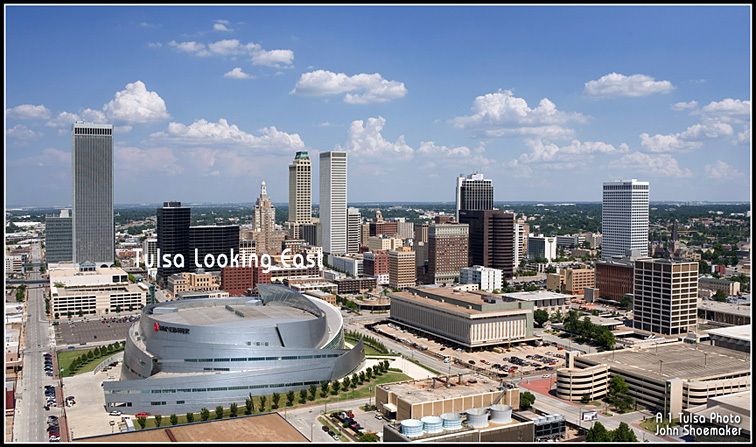 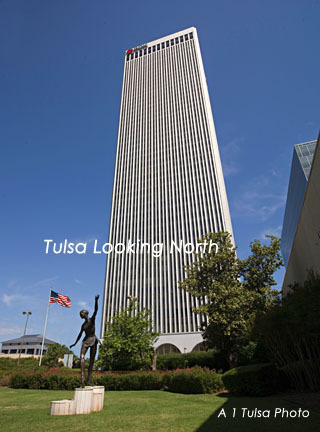 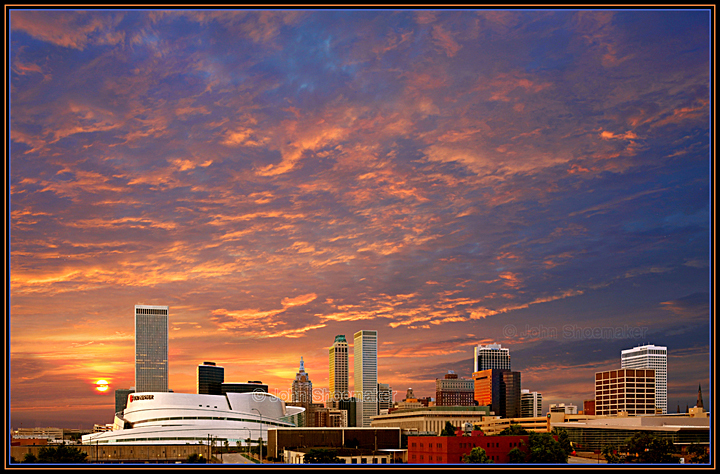 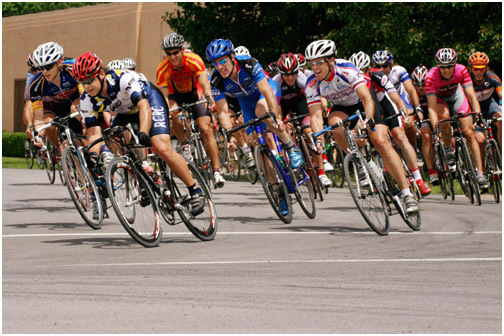 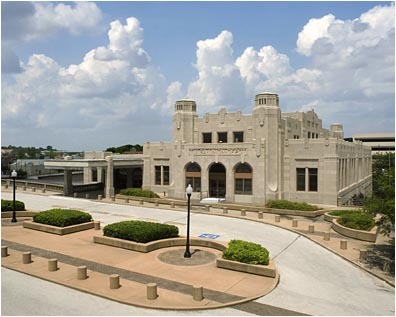 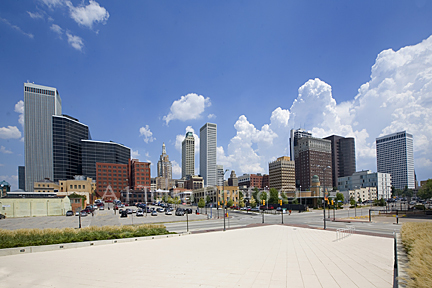 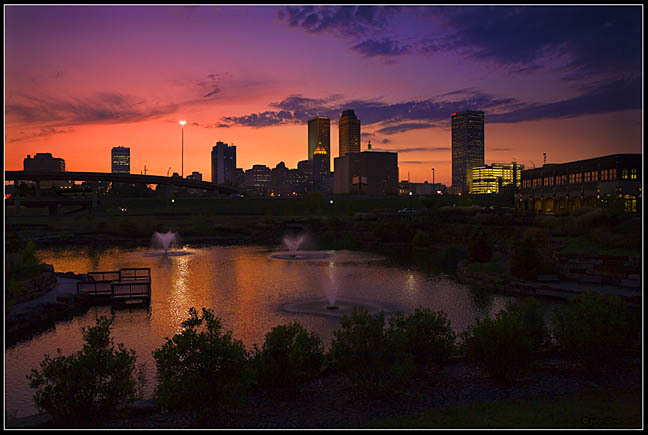 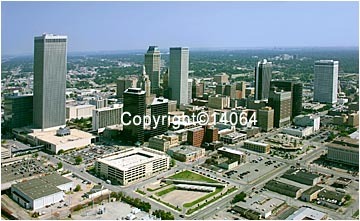 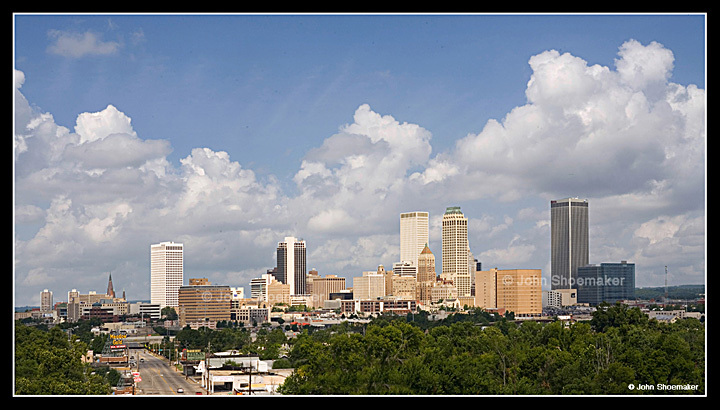 Tulsa Skyline BOK Event Center Tulsa Oklahoma 200 South Denver Tulsa Mailing Address. 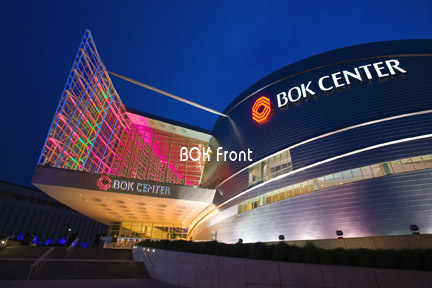 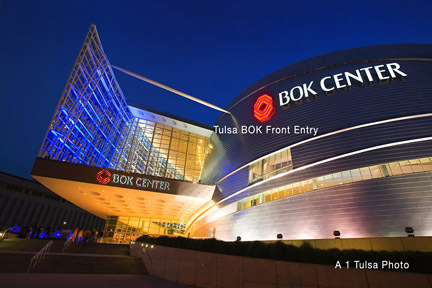 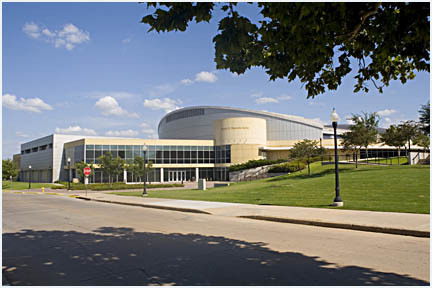 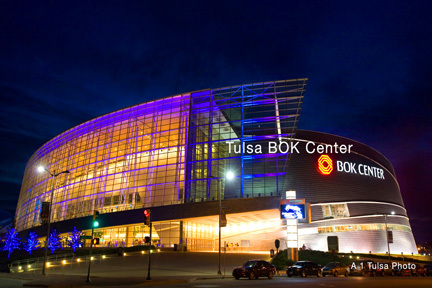 The BOK Center, or Bank of Oklahoma Center, is a 19,100-seat multi-purpose arena, The BOK Center is the flagship project of Tulsa County's Vision 2025 long-range development initiative. 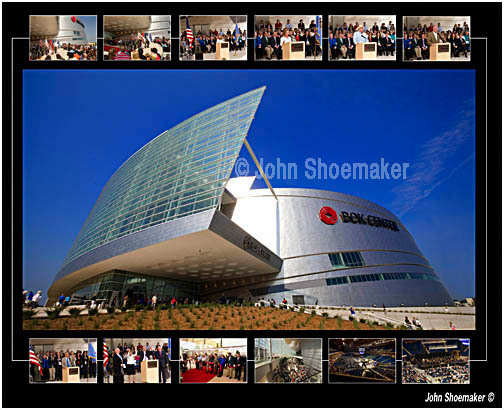 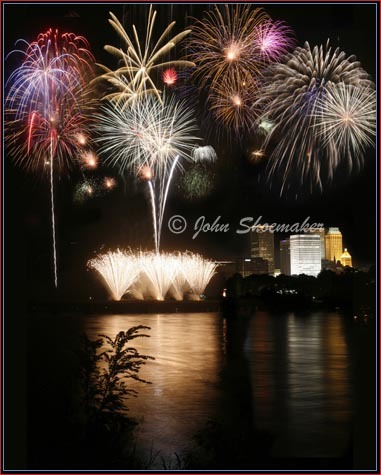 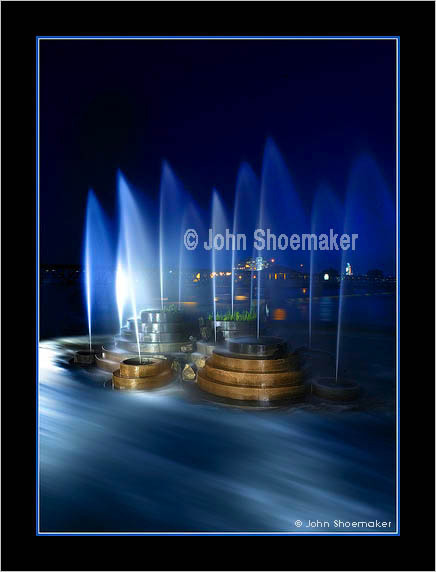 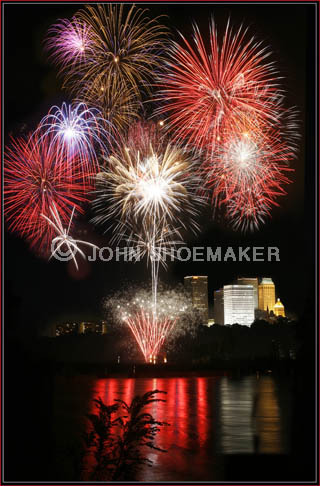 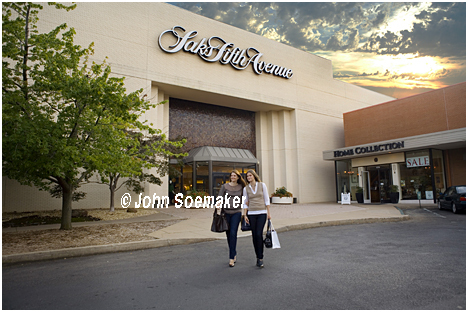 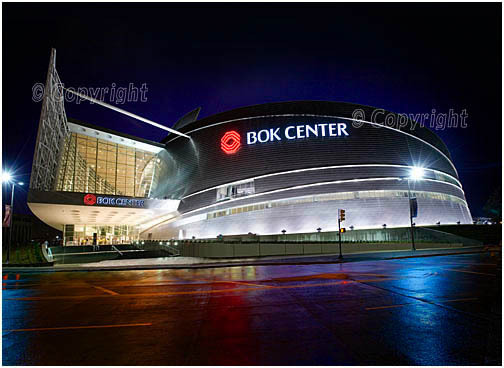 BOK GRAND OPENING AND NIGHT IMAGE. 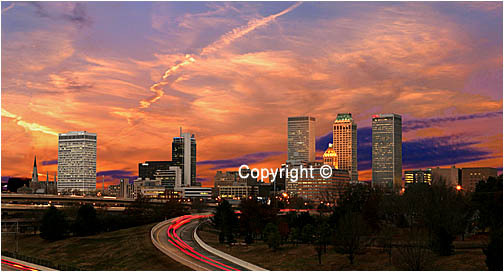 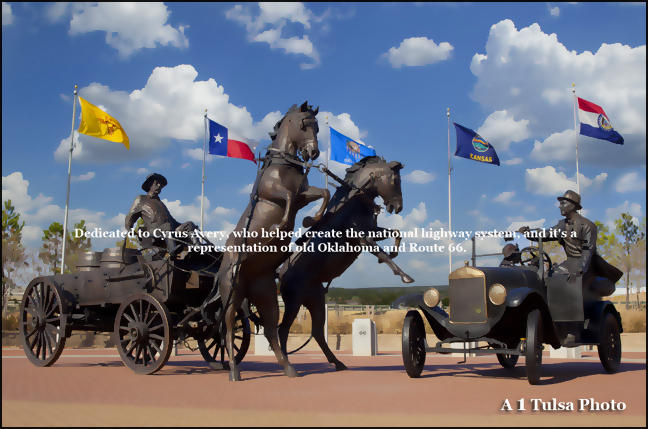 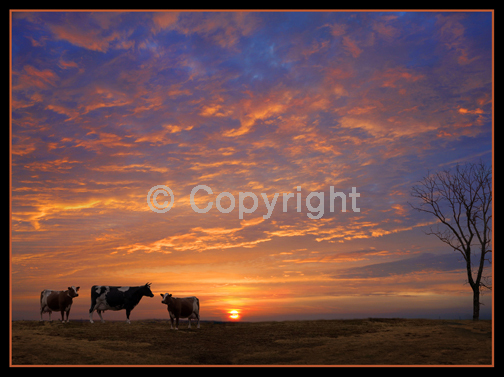 Oklahoma art picture great sky interisting view of Oklahoma. 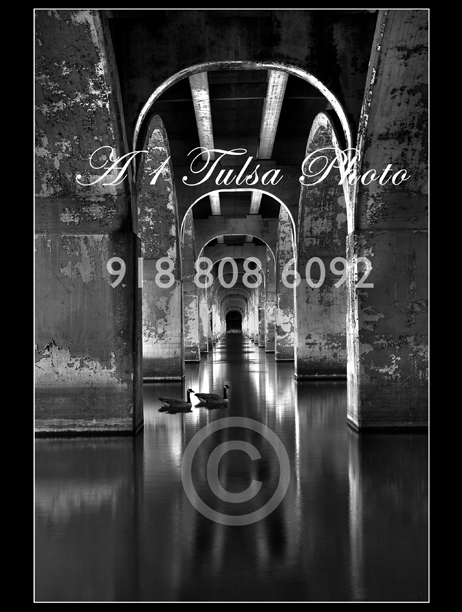 view from the west bank of the Arkansas river. 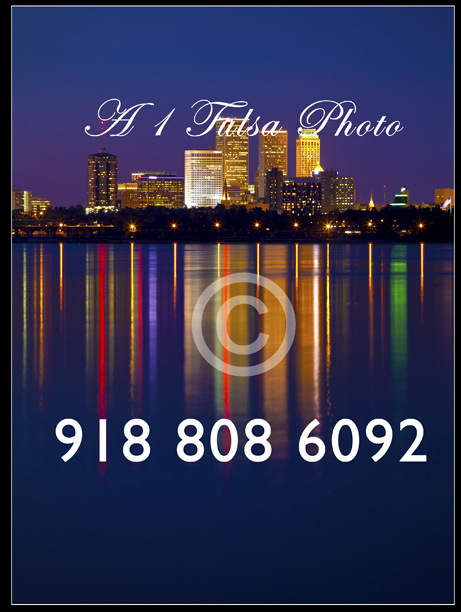 Tulsa Oklahoma skyline view from Tulsa drillers ball park night skyline picture. 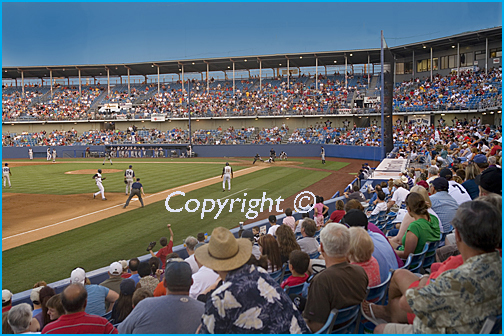 Tulsa Drillers fun event for the family. 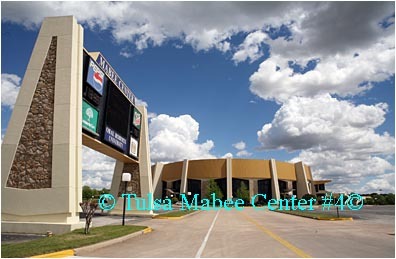 For tickets call 918 744-5901 They have group discounts. 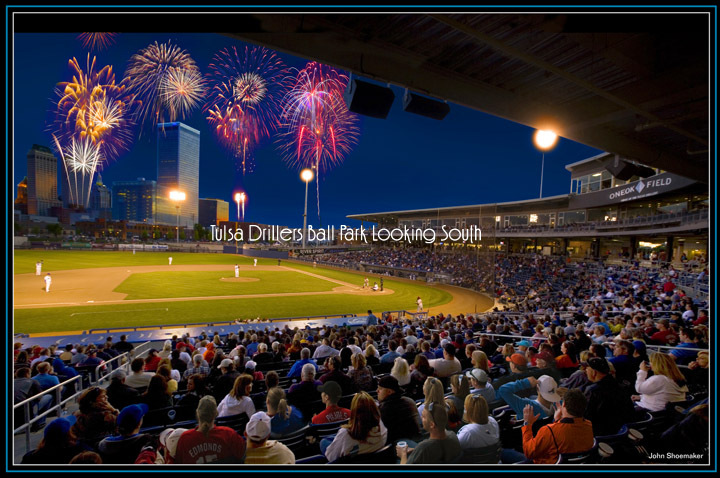 Tulsa Drillers a fun even after convention meetings. 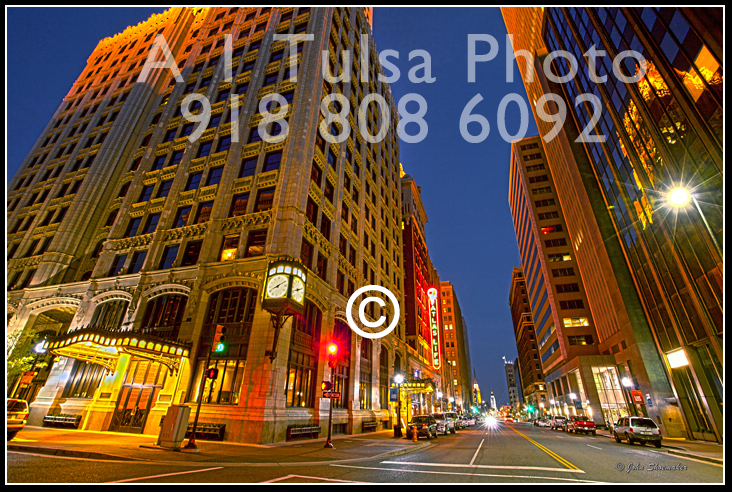 Tulsa-picturess art is where you finnd it. 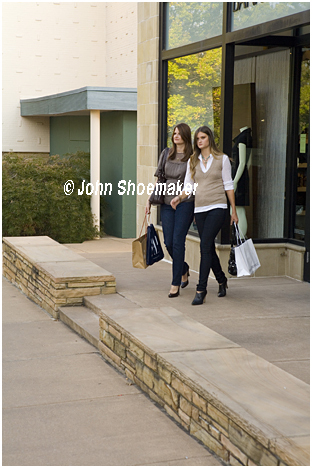 I have model releases for commercial use. 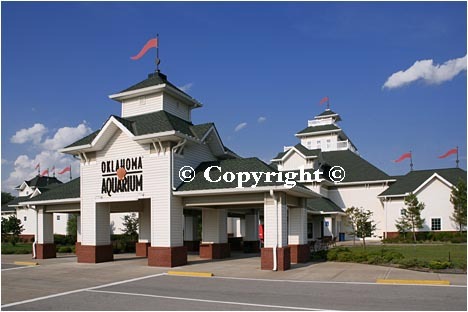 A great place to take the family. 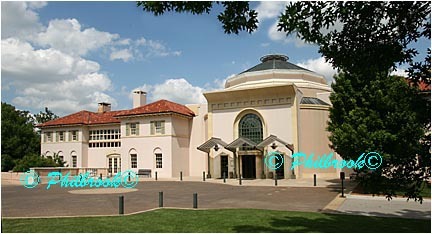 ben completely renovated and just looks great. 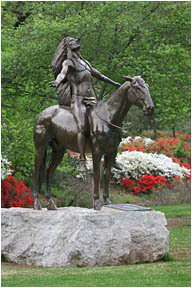 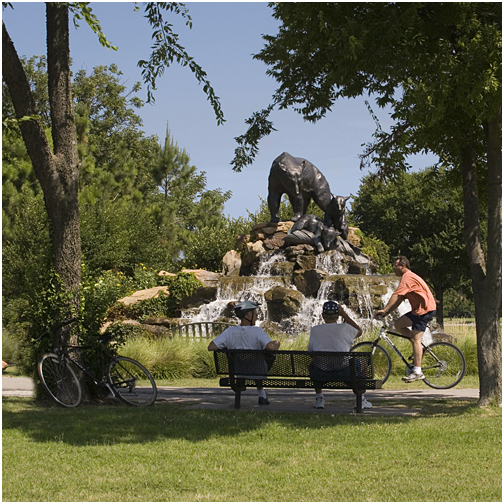 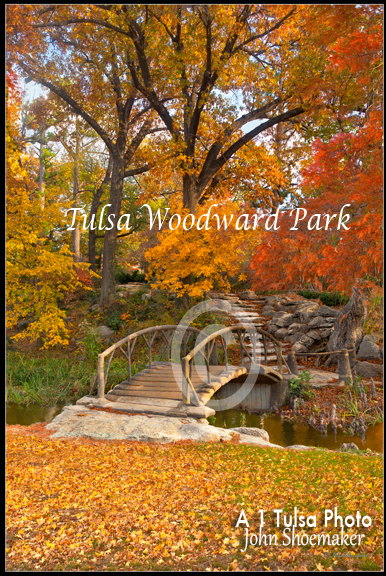 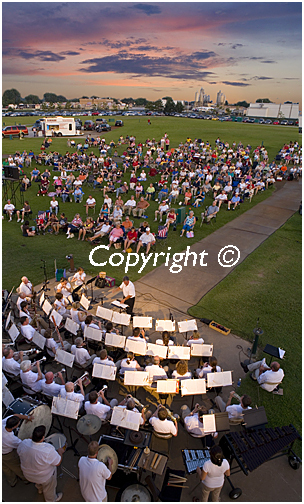 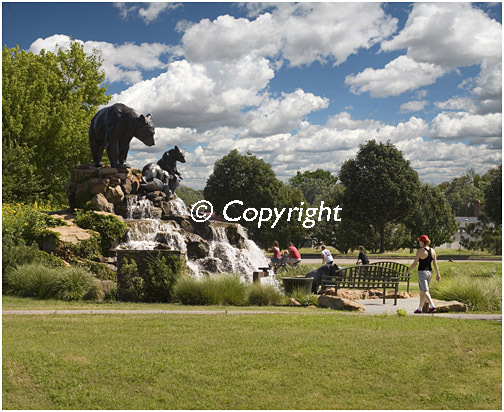 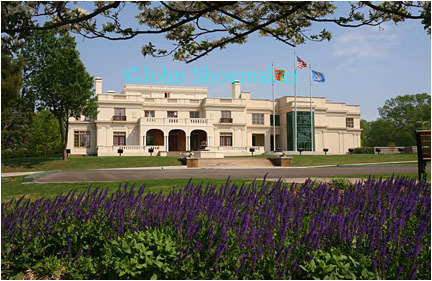 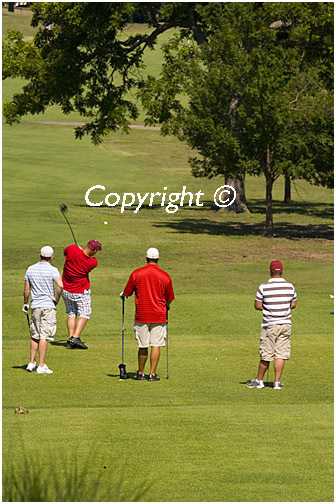 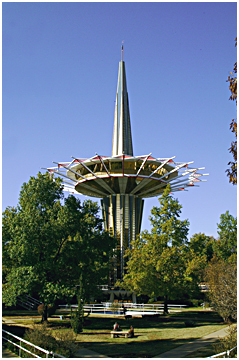 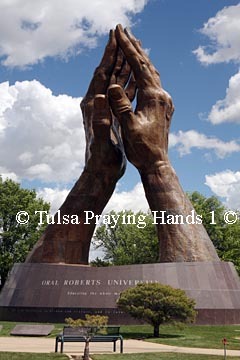 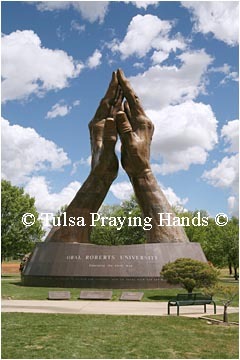 Woodward Park and Tulsa Historical SocietyTulsapump&Flag-intare easy walking distance from each other. 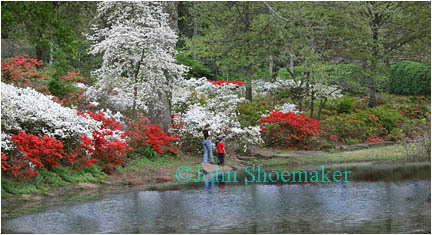 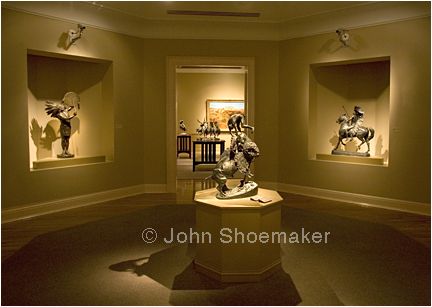 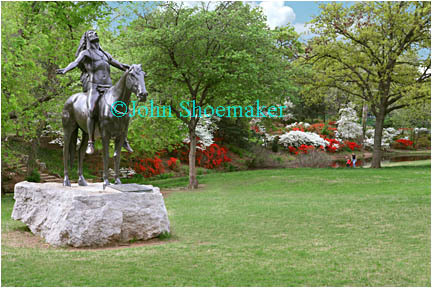 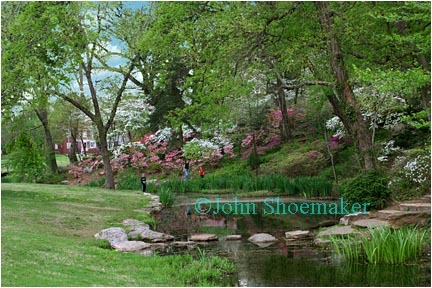 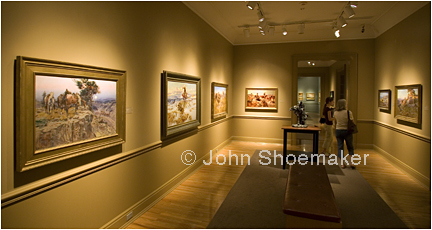 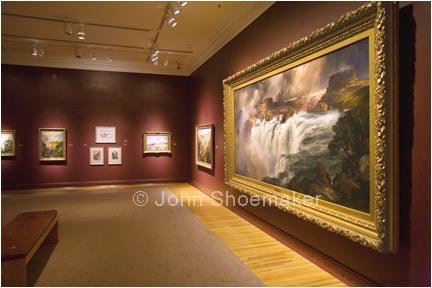 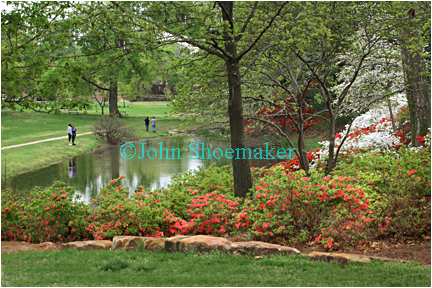 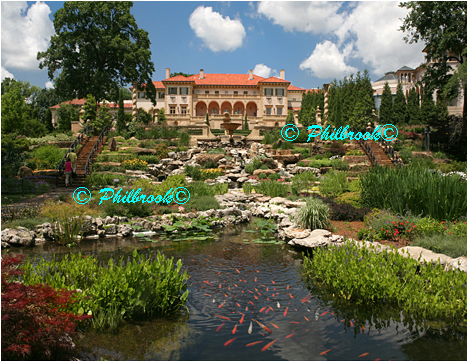 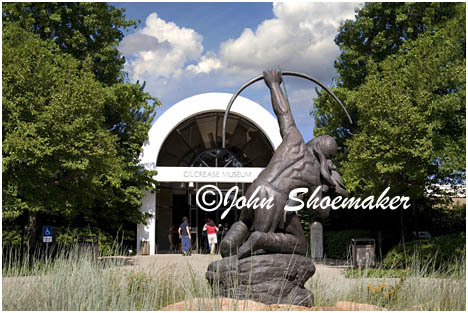 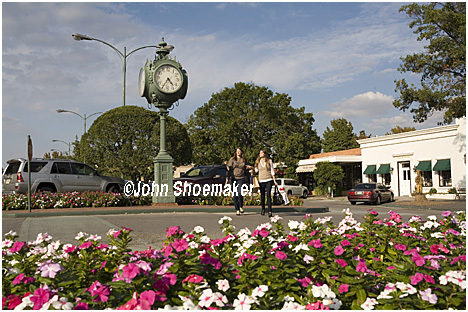 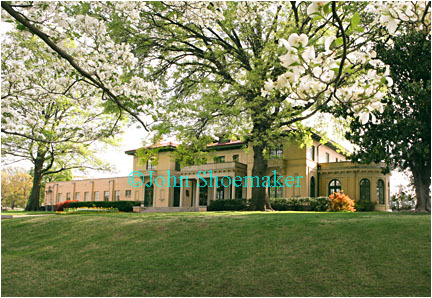 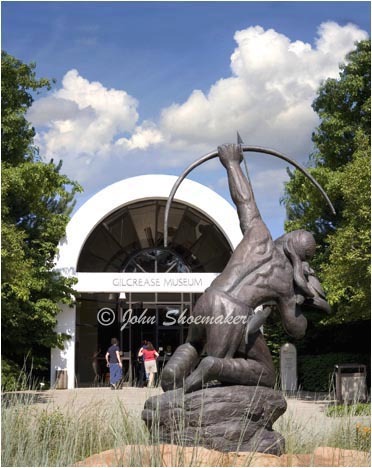 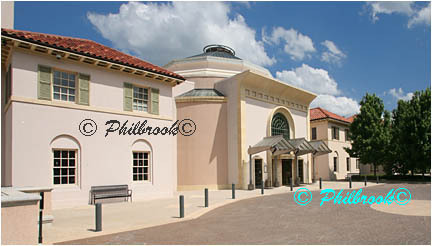 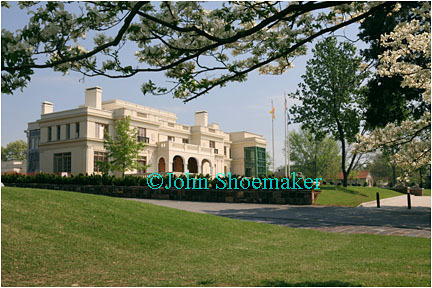 The Philbrook Museum of Art is just a half mile south. 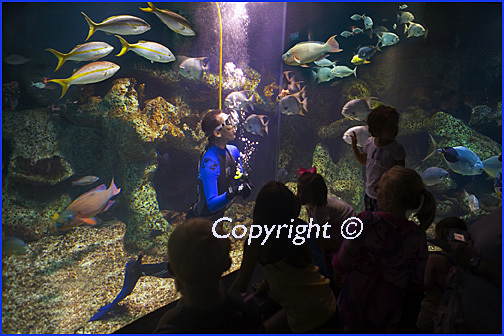 adults and children alike and its Free. 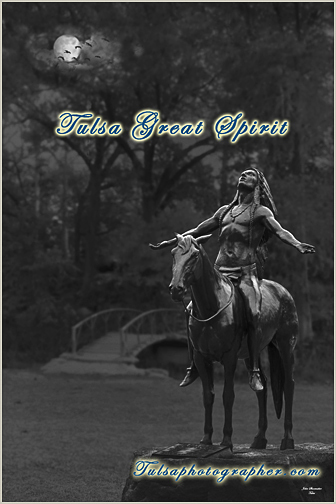 Tulsa woodward parj the great tulsa spirit. 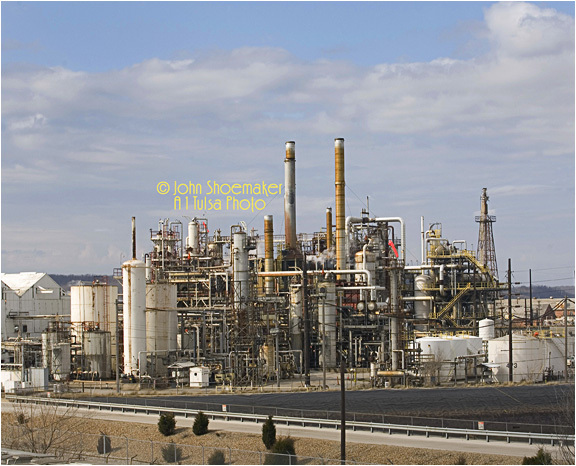 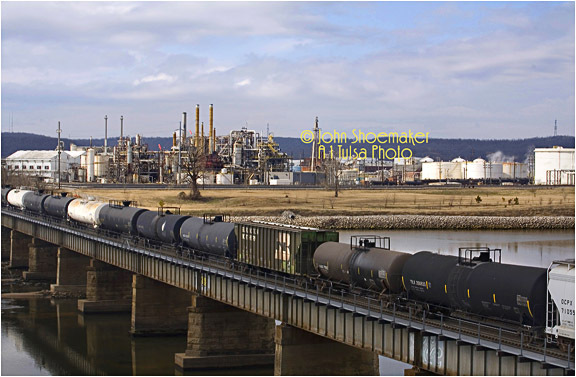 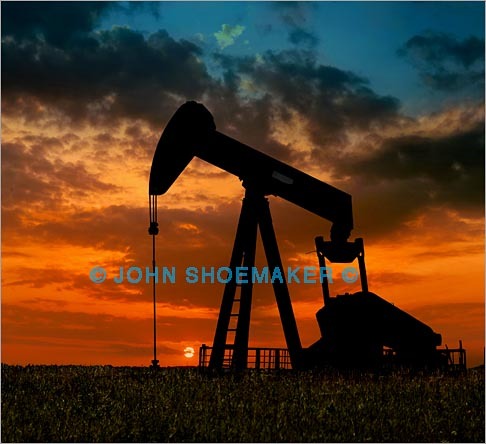 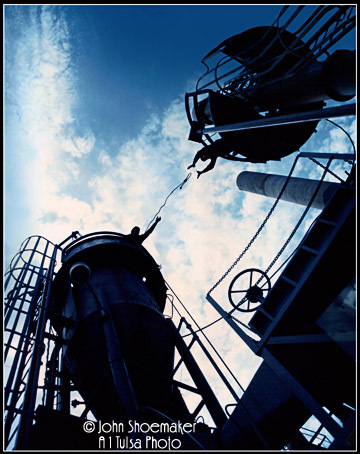 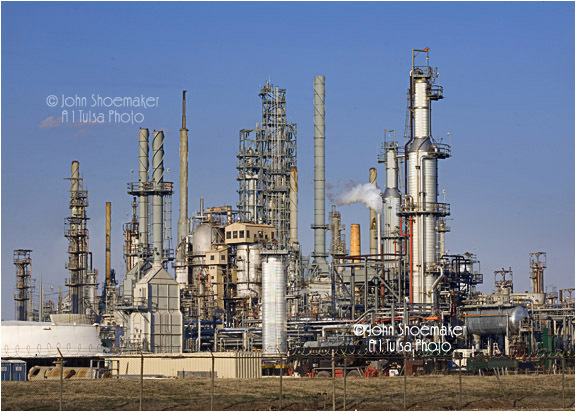 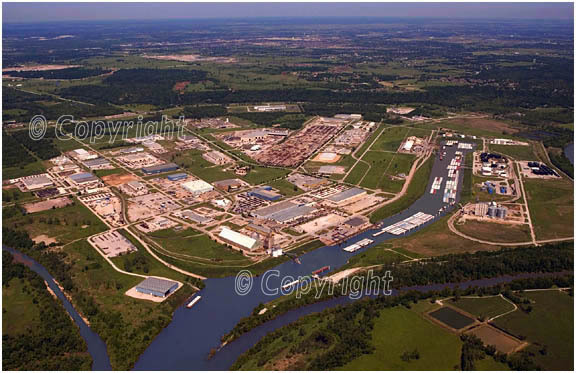 U.S. Oil Refinery photographs and images of Oklahoma Oil refineries. 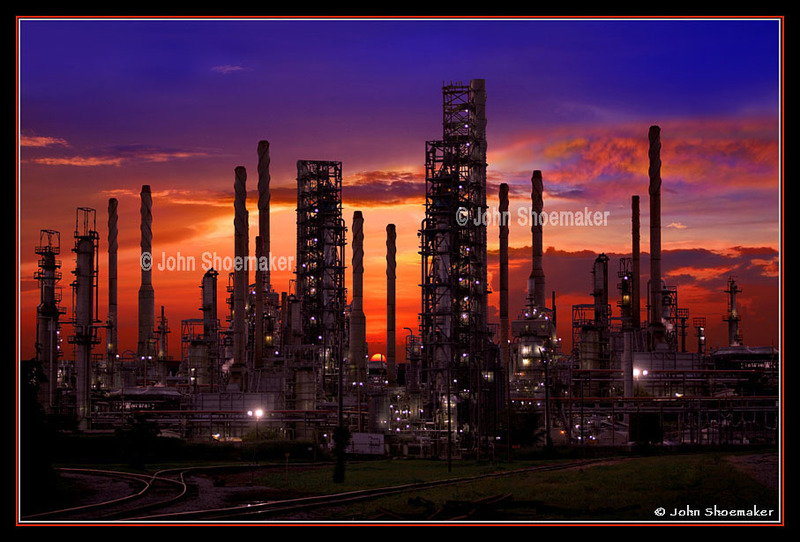 The refineries in Okahoma seam to run trouble free and provide employment for a lot of Oklahomans, they get a bad rap sometimes but what would we be with out them. 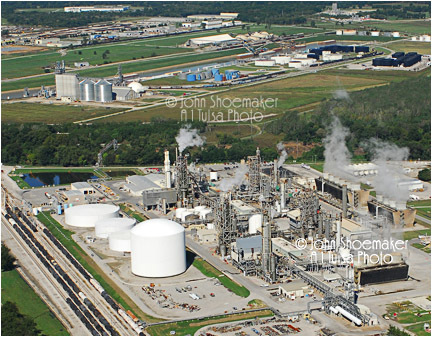 Tulsa has two refineries with in the city limits. 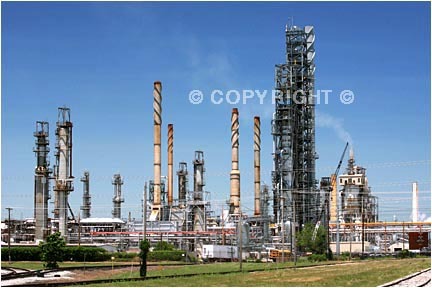 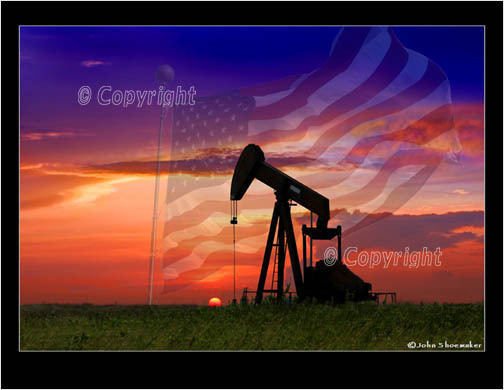 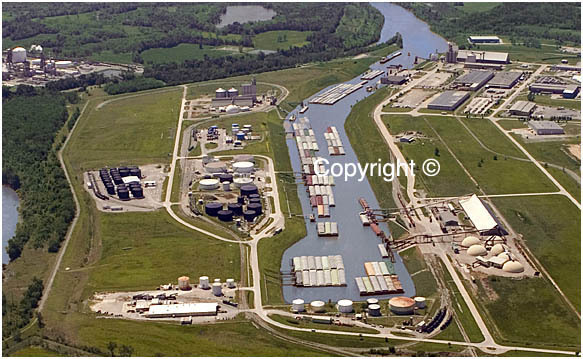 If you can't find the refinery images taht you need email me I have others. 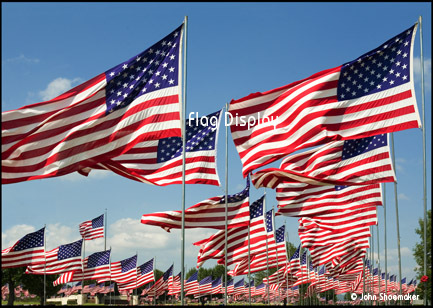 American Flags USA Flags United States American Patriotism. 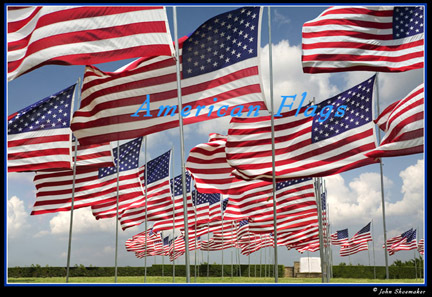 WE need to show Patriotism every day not only on Memorial Day and July 4th be a Patriot every day. 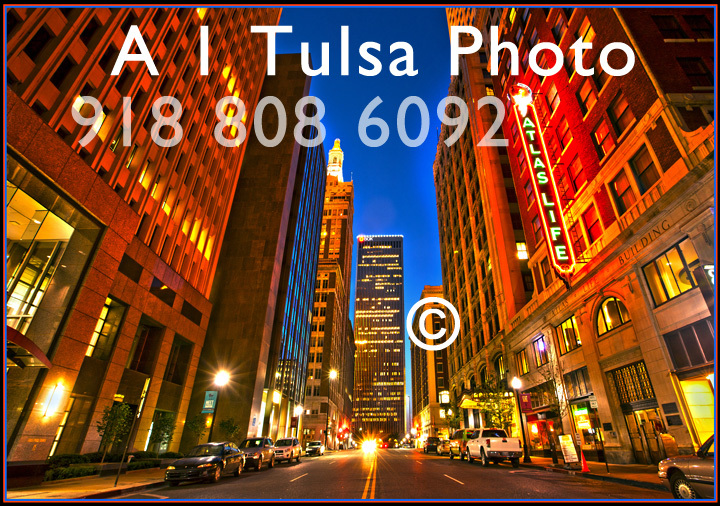 Tulsa flag picture awesoe picture of Tulsa flags. 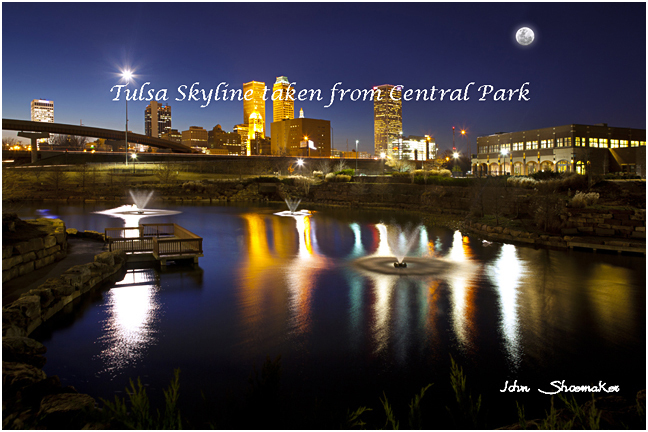 Tulsa-picture-downtown with red sky night image lookiing north from the riverside bridge. 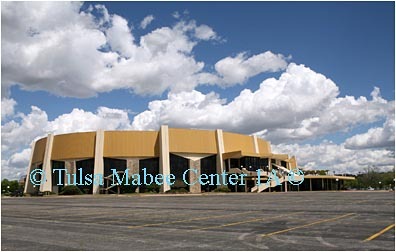 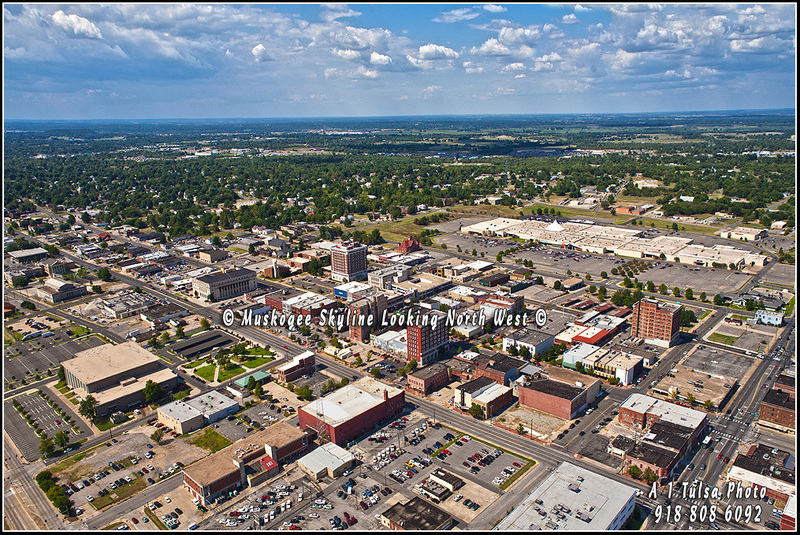 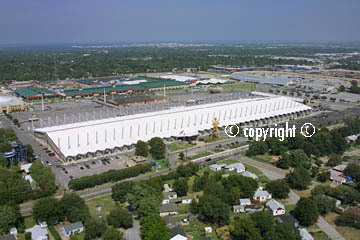 Aerial picture of Muskogee Oklahome with the main shopping mall in the background. 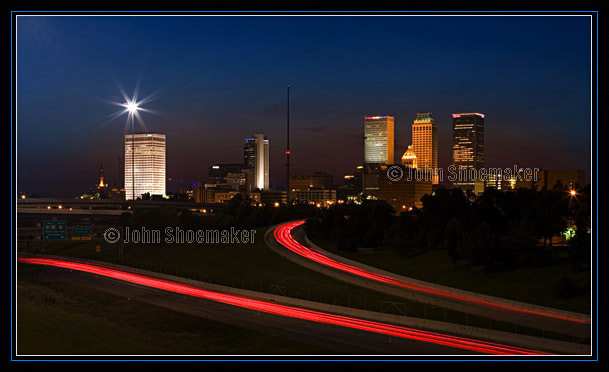 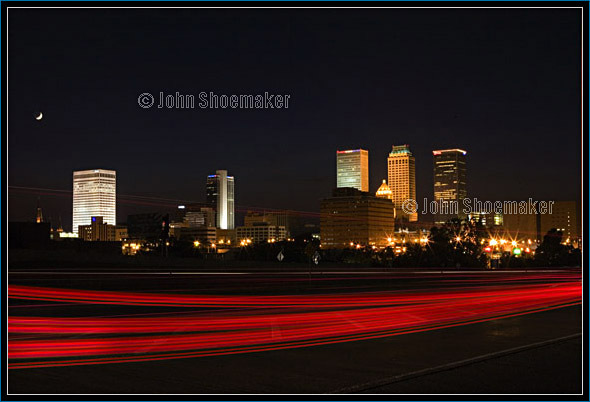 Downtown Tulsa city skyline looking north on Boulder night picture. 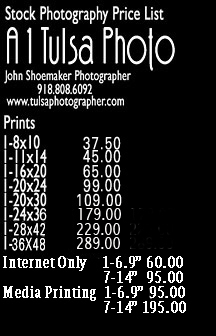 Sorry for the large copy just triyng to slow down the internet thieves. 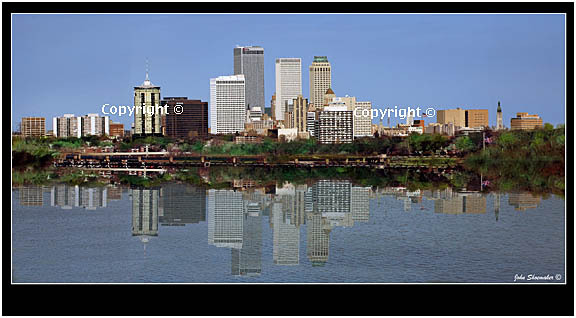 Tulsa_skyline_picture this picture was taken from a sand bar in the Arkansas river, the river can rise very quick, I found out the hard way when I wadded out it was just over knee deep by the time the light was ust right the water was just over my ankles on the sandbar but whrre I crossed it was over waist deep and swift. 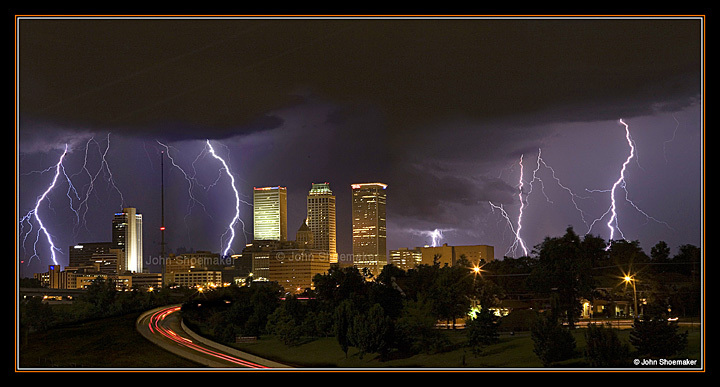 I was more worried about the camera getting wet than any thing else. 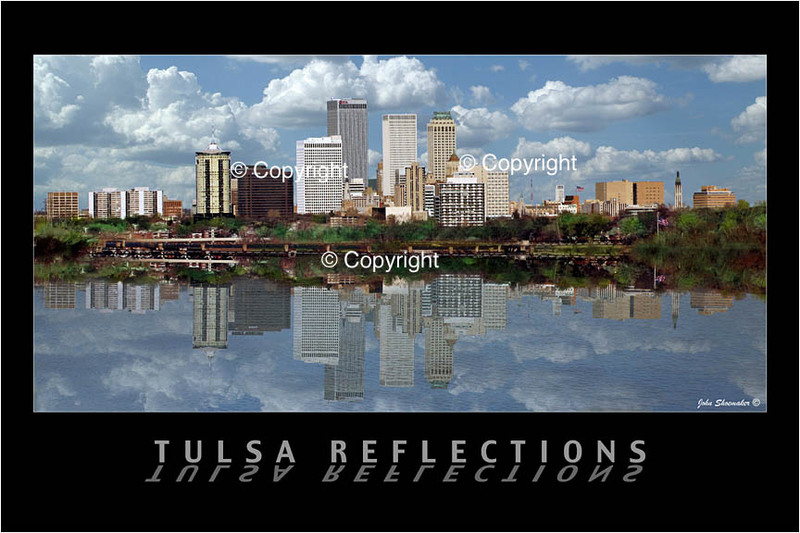 Tulsa downtown skyline the picture has good reflections. 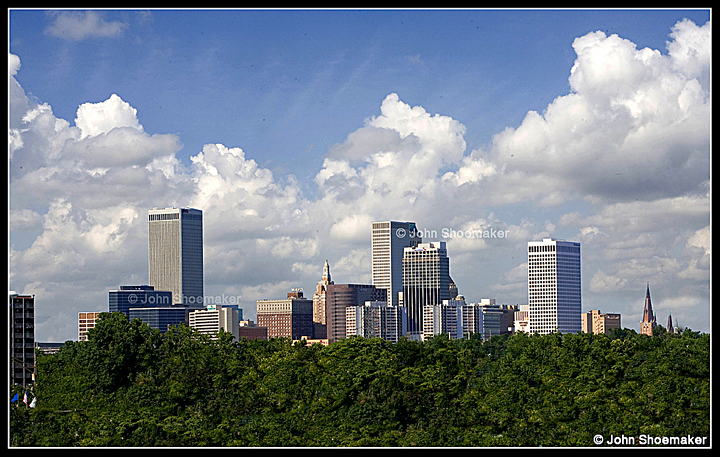 Tulsa_skyline this picture of Tulsa is looking south on Boulder street Tulsa is an awesome city. 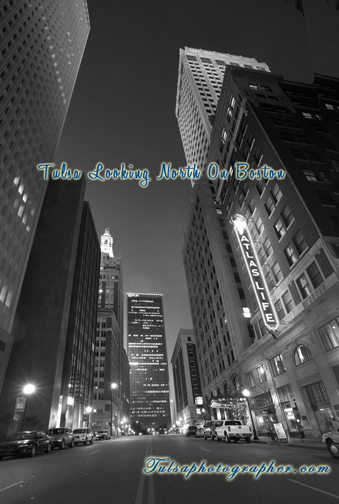 You have come this far, How about few more Click Link below.